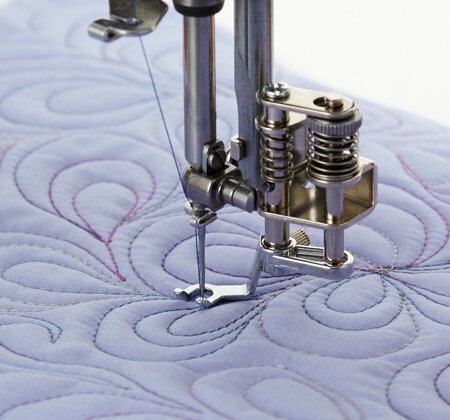 Janome Convertible Free Motion Quilting Foot Set. The set includes three different feet that attach to the holder with a screw for maximum sturdiness and safety. Also includes a darning plate. Feet included in the package are: Closed Toe Foot for general use with lace and catchable fabrics, Open Toe Foot for general use and extra visibility, and Clear View Foot for uneven surfaces and evenly spaced quilting.